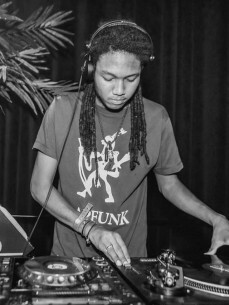 His family tree stands in the steep jungle of Surinam, but Julian Alexander grew up in Slapfunk’s hometown Utrecht. With his brother DJ/producer Samuel Deep around, he already got the hang of producing when he was still a teenager. Now that he released his first new EP ‘Hustlin’ (Dungeon Meat), he’s catching the attention of music sites like juno.co.uk, where he is praised for his “meaty, stripped down minimalism” and ended up at #1 in the Juno house charts.